Guatemala’s war and counter-insurgency have continued through other means. Today social and indigenous movements face free speech and legal challenges that threaten to tear them apart by dismantling leadership and organizational structures, and sending movement bases into disarray. 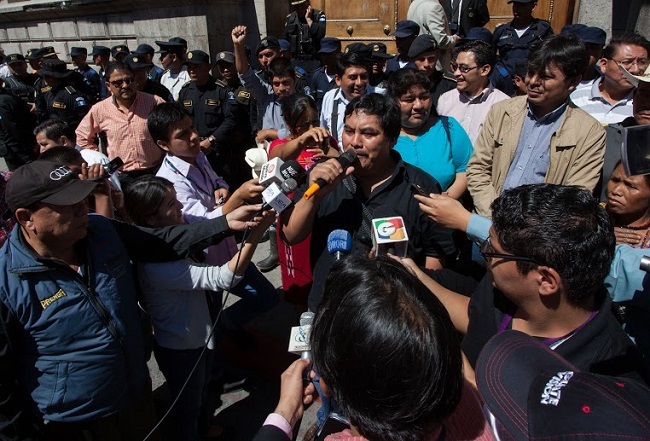 On February 22, a criminal court in Guatemala City allowed proceedings to begin in a legal case against Daniel Pascual, the leader of the Campesino Unity Committee (CUC), which could greatly affect the freedom of speech in Guatemala. The case against Pascual has potential ramifications for other leaders of human rights organizations across Guatemala, and threats their ability to express their opinions in the national and international media. In 2013, supporters of a controversial San Gabriel cement factory attacked Pascual and several other human rights defenders during a visit to communities resisting the construction of the cement factory in San Juan Sacatepéquez. Following the attack, Pascual had associated the attackers with the nationally syndicated newspaper columns by Ricardo Mendez Ruiz, a former military officer and the founder of rightwing Foundation Against Terrorism. Mendez Ruiz argued that the statement amounted to libel and slander, and opened up a legal case against the campesino leader. Pascual has appealed the charges in the Guatemalan Constitutional Court, and in the Inter-American Commission on Human Rights in Washington DC, and tried to get the case thrown out. But despite these efforts, the case has been permitted to advance. 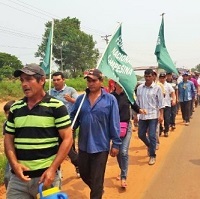 Support for Pascual has come from across Guatemala’s diverse social movements, including from the Social and Popular Assembly, an association of 72 organizations that emerged during the 2015 protests against corruption in Guatemala, as well as leftist political parties such as WINAQ and The Guatemalan National Revolutionary Unity (URNG), and indigenous leaders. This has been supported through a campaign on social media in solidarity with the embattled leader. Human rights organizations have not been Mendez Ruiz’s only targets. But the Foundation Against Terrorism has also sought to derail those investigating the crimes committed by the military during Guatemala’s 36-year-long war. This has put the Forensic Anthropology Foundation of Guatemala (FAFG), and its director Fredy Peccerelli, into the cross hairs of the foundation, which they have accused as a terrorist organization, and worked to silence the organization from speaking out. Since the 1990’s, FAFG has worked tirelessly to locate and identify the remains of the 45,000 people that were disappeared by the military between 1965 and the early 1990s. The organization has provided expert testimony in the numerous high-profile trials against former military leaders, including the most recent case of Sepur Zarco. 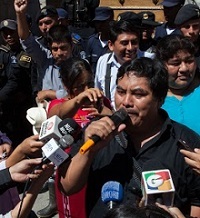 In November 2011, Mendez Ruiz filed charges against 26 former members of the Guerrilla Army of the Poor (EGP) and Guatemalan Communist Party (PGT), who he accused of being responsible for kidnapping him during the internal armed conflict. These charges came as the Guatemalan Public Ministry began the trial against former Dictator Efrain Rios Montt for charges of genocide. The Foundation Against Terrorism was also active in trying to get Claudia Paz y Paz removed as the head of the Guatemalan Public Ministry as the trials began. Eventually she was forced to step down during the administration of Otto Pérez Molina. The cases against other leaders filed by Mendez Ruiz don’t stop there. In January 2015, Mendez Ruiz filed a complaint in the Guatemalan Judicial Towers against internationally renowned, Rigoberta Menchu, who was the 1991 Nobel Peace Prize winner. He accused the Nobel Prize Laureate of slander, defamation, and insult for a comment she had made on national television. Mendez Ruiz has also sought to discredit members of leftist parties, such as Sandra Morán of the Covergencia, who he referred to as a terrorist following her election to congress. Morán had been a member of the Guerrilla Army of the Poor during the internal armed conflict. In 2012, the Foundation Against Terrorism made a denouncement in the Guatemalan Public Ministry against her. The charges against Pascual, and against other high-profile organizations and community leaders represent the use of the rule of law as a means to crush dissent. Furthermore, Mendez Ruiz has continued to fight the internal armed conflict by other means through his nationally syndicated columns, and through labelling critics as terrorists. 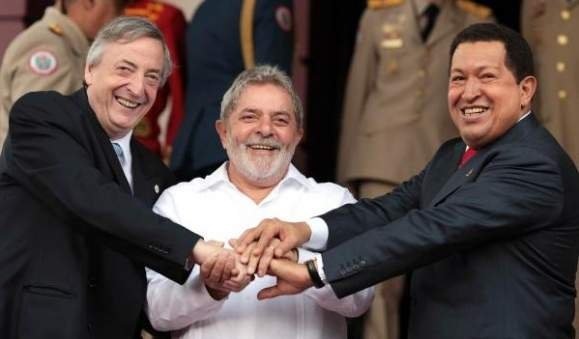 But this also reflects a common trend in the 20 years since the signing of the Peace Accords, which brought Guatemala’s 36-year-long internal armed conflict to an end in 1996. The charges brought by Mendez Ruiz have come as part of a campaign which reflects the counter-insurgency of Guatemala’s internal armed conflict. This campaign has especially increased as the Guatemalan Public Ministry has pursued cases against former military leaders for crimes against humanity from during the height of the war. The war and the counter-insurgency have continued through other means. Today the movements face free speech and legal challenges that threaten to tear them apart by dismantling leadership and organizational structures, and sending the movement bases into disarray.